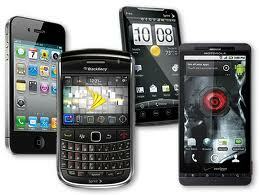 In the last year 2011, selling of Smartphones made a history by overtaking the selling of PCs. So if you bought a Smartphone in last year than you are the part of history maker. According to the market analyst firm Canalsys, total sales of smartphones overtook the total sales of PC around the world. According to data analysed, 488 million smartphones were sold compared to 415 million PCs. Even though the global PC market grew 15% in 2011 because of the 274% increase in tablet sales due to iPad. Canalsys counts the tablet as a PC. The real news is the rise of the samrtphone. Total shipment of the devices grew 63% in 2011. The success for the smartphone is based on Apple having iPhone 3GS, 4 and 4S. Apple shipped an incredible 93.1 million iPhones worldwide in 2011 having 96& growth over 2010.